Vehicular chases and police pursuit policies are issues often left on the back burner until a bystander or officer is injured or killed. I know this all too well. 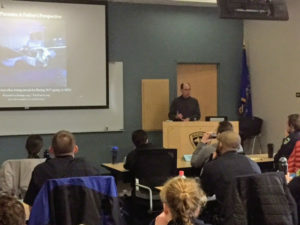 While recently speaking to a group of Madison Police Department (WI) recruits, I was once again overcome with emotion remembering why I began this mission to reduce police pursuits for non-violent felonies. My son, Paul, a 23-year-old innocent bystander, was killed during a police chase into a city with a very restrictive policy. My presentation to these Madison recruits was part of my Pursuit For Change work (PursuitForChange.org) in conjunction with the Below100 initiative (Below100.org), a campaign to reduce preventable law enforcement officer line of duty deaths. After my recruit presentation, as well as after other presentations to more experienced LEOs, many officers approached me to offer thanks for sharing my story. These officers get it; they understand my heart ache. They understand why I’m there, and why I dedicate so much effort to save lives of officers and bystanders like Paul. After several years as Chairman of the Board for the national non-profit, PursuitSAFETY, I made a decision to move in a slightly different direction. I wanted to provide information and value to LEOs across the country. I wanted to share my story directly with legislators in Washington. I wanted to find additional funding for LEO’s use of pursuit reduction technologies and increased officer driving training. I wanted to implement mandatory tracking for all police chase-related deaths and injuries. And finally, I wanted to work toward safer and more consistent pursuit policies. So, as a result, I established Pursuit For Change. Scores of high-speed police pursuits occur daily and there is definitely no shortage of media coverage. The more brazen and deadly the pursuit, the more news coverage it gets. Society sensationalizes police pursuits, and regardless of the horrific consequences, the media feeds their thirst to be entertained. In-car videos of dangerous stunts at high speeds followed by pictures of marred vehicles are exactly the type of coverage affecting the public’s mindset. 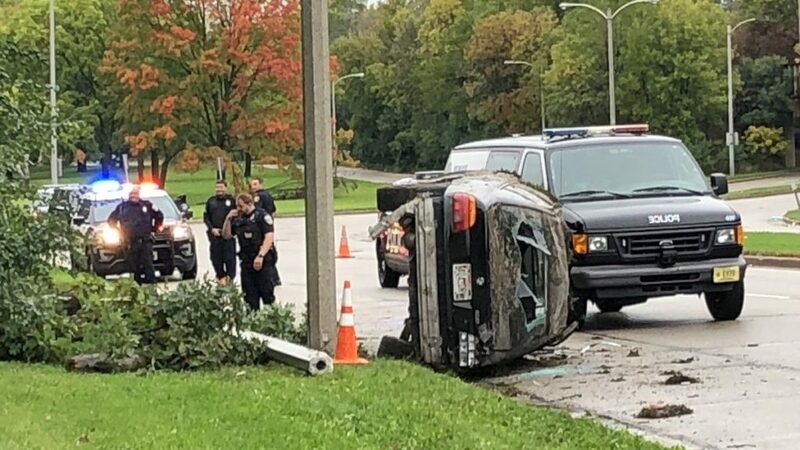 People have become desensitized to police chases; for the most part, they are unaware of the tragic effects of the high-speed pursuits they watch. Police pursuits kill an average of one person each day, according to the National Institute of Justice statistics. While the majority of pursuit-related deaths are suspects, an innocent bystander is killed every three days and a law enforcement officer is killed every six weeks. Even without mandatory reporting for pursuit-related deaths and injuries, data from an FBI report stated that thousands of people are injured in police chases every year. Taken at a state level, the numbers look just as grim. An NBC Los Angeles report shed light on the prevalence of police pursuit-related injuries in the state of California. Between 2002 and 2012, over 10,000 people were injured in police chases, with 321 ending as fatalities. In 2011 alone, pursuits in California resulted in 927 injuries and 33 deaths. Included in those deaths were eight bystanders and one police officer. Other states have equally unacceptable results. The toll from pursuits is not only measured in lives. A 2016 NBC investigation of Chicago-area pursuits found that taxpayers paid out over $95 million in civil settlements and judgments stemming from 24 separate lawsuits over a 10-year period. That same report counted nearly a dozen more pending lawsuits that had not been settled. So it is realistic to estimate that the sum of pursuit-related settlements in the Chicago area will exceed $100 million over a 10-year period. How many more officers and equipment could be funded by sums such as this? Keep in mind that these police chase numbers are gathered without any rigorous Federal system in place to mandatorily report pursuit-related injuries, deaths and economic damages. From other studies completed, it is reasonable to predict that actual numbers are significantly higher. A standardized system for reporting pursuit-related injuries, deaths, and damages would be monumental in analyzing and significantly reducing those avoidable pursuits resulting in so much loss and suffering. Police pursuits with deadly outcomes are nothing new; for many years, LEO and bystander lives have been lost and forever changed as a result. Police chases are a national issue with staggering local effects, yet the problem has largely fallen on deaf ears. 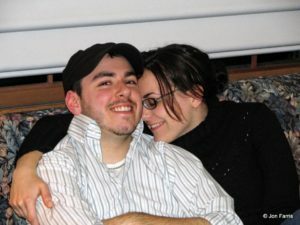 My son died during a high-speed police chase in 2007. Paul and his girlfriend Katelyn were headed home when an SUV crashed into the taxicab in which they were passengers. Paul and the cab driver, Walid Chahine, died; Katelyn sustained serious, life-altering injuries. This double fatality police pursuit began over a misdemeanor traffic violation – when the driver of the SUV made an illegal U-turn. Question: Is it worth risking innocent bystander lives and police officer lives over minor traffic violations such as failing to yield at a stop sign or an illegal U-turn? That’s tough to answer because officers do have a duty to enforce the law, but while protecting citizens. Achieving both obligations – enforcement and protection – is extremely challenging. Common sense dictates that engaging in any pursuit should be limited to only the most dangerous and violent offenders. In the heat of the moment that can be a difficult decision for the officer unless their EVO pursuit policy is clear, concise and unambiguous. Most EVO and pursuit policies that I have reviewed do not meet these standards. At the time of Paul’s death, many people were affected. My neighbor and good friend, Tim Dolan, was one of those. There are alternatives to chasing. Examples include GPS tracking technology, driving simulator training, emergency smartphone alerts to drivers in the vicinity of an active pursuit, and other measures. Each of these options can be used to apprehend suspects while reducing the likelihood of civilian or officer injuries or deaths. I have been working tirelessly to find alternatives that will limit pursuits for all but the most heinous of violent crimes. Technology is now a reality and police departments across the country are beginning to consider this in conjunction with stricter policies for their officers. Unlike many advocates, I am not at odds with law enforcement. Rather, I understand that we have a common goal. I truly appreciate the challenge that law enforcement officers face. I provide information and support relating to reducing chases and making apprehending these criminals safer. I speak for many who have been adversely impacted by a police pursuit, to raise attention to the issue and to highlight the need for alternatives to high-speed pursuits for non-violent crimes. No family should endure the lifetime pain caused by an avoidable disaster. I hope to minimize incidents when split-second decisions and adrenaline-fueled moments can end tragically, as it did for my Paul. Our goal is twofold: protect innocent civilians’ lives and protect officer lives. To accomplish this mission, I created Pursuit for Change, a national police pursuit advocacy group. The focus of Pursuit for Change is to push policy, legislation, technology and training to save innocent citizen and police officer lives. Rational pursuit policies coupled with advanced pursuit management technologies and increased training will decrease pursuit-related deaths and injuries. The reality is that implementing these changes can be just that simple. Although increased training and advanced technologies are proven to reduce the risks involved in pursuits, many law enforcement agencies are unable to acquire necessary equipment because of budgetary constraints. Pursuit for Change is working with members of Congress to help police departments and law enforcement agencies receive necessary funding to adopt safer tactics. Pursuit for Change is lobbying for a federally funded program for pursuit reduction technology and LEO driving training. Our efforts have united Senate and House representatives on both sides of the aisle. Our work is also at the local level. My meetings with city and state law enforcement agencies are examples of affecting change at the source. Pursuit for Change is gearing up to work with even more agencies and departments to raise awareness and pursue meaningful change. Imagine a world where every day one more person’s life is saved, every three days one more innocent bystander’s life is saved, and every six weeks one police officer’s life is saved. In this world, police departments have adopted the latest and safest technologies with officer training and internal policies to match. This is a world in which dangerous chases are limited to the most extreme circumstances. The ideal situation, of course, is to get bad guys off the streets without harming anyone else in the process. The better equipped and trained departments are, the more often they apprehend criminals without incident. We all need to remember that a LEO’s goal and obligation is to carry out their duty to protect and serve while ensuring the safety of bystanders, other officers and themselves. Saving lives begins with awareness and education. Through the grief of thousands of anguished families and friends, we must support law enforcement while finding and implementing options other than chasing every runner. Officers put their lives on the line every day. It’s up to their command to find every possible means to reduce these risks. Increased training and enhanced technologies will most certainly reduce avoidable outcomes that adversely affect communities and law enforcement agencies alike. The time is now to prevent other families, innocent bystanders, and police officers from having to suffer as my family has from easily preventable tragedies. 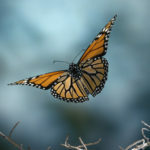 My journey started with horrible sadness and anger. But I continue to focus those emotions into something beneficial and desperately needed for society. I have focused my sadness into an appreciation for the challenges faced by law enforcement. However, I will continue to drive home my message that there are altogether way too many unnecessary pursuits, and LEOs must reassess their direction and policies. 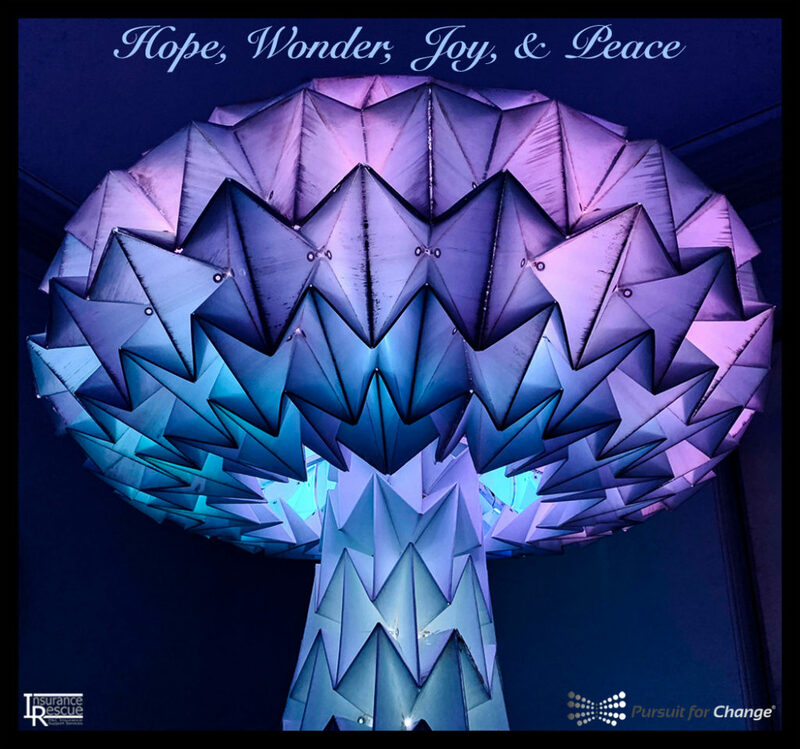 I have focused my pain and heartache into a relentless, but positive pursuit for change. Jonathan Farris is founder and Chief Advocate for Pursuit For Change, an advocacy working to change federal and local pursuit policies by seeking legislation to more effectively track and manage dangerous police chases and helping law enforcement implement pursuit reduction technology. Learn more at pursuitforchange.org. We know there are so many safer means for apprehending drivers who flee from police. We need law enforcement to embrace new technology and safer tactics. A Bluffdale police officer suffered minor injuries after his auto crashed and rolled on Interstate 15 in Sandy during a vehicle chase on Saturday. Sgt. 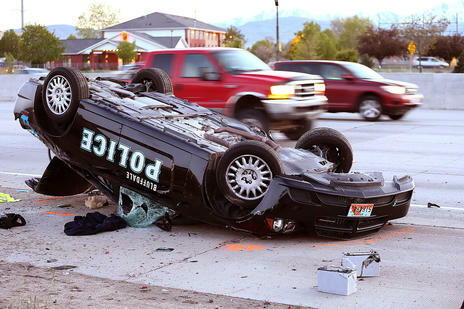 Todd Royce of the Utah Highway Patrol said the pursuit began in Lehi and the suspect fled north on I-15 at high speeds. Only minor injuries for the Bluffdale officer. “But it looks like the Bluffdale officer rolled down through a lower area of I-15 and ended up being on his top in the emergency lane”. The Bluffdale officer, who Royce said only suffered minor injuries, was transported to a hospital as a precautionary measure. It was not clear why police initially attempted to stop the vehicle. And we don’t know exactly what happened. The suspect is still outstanding, he said, but Lehi police believe they know who the suspect is and they are now looking for him. The pursuit was terminated immediately after the crash in order to render aid to the Bluffdale officer. Tech, Tech & More Tech! Another great article about pursuit reduction technology in action. High speed police chases are among the most dangerous circumstances a law enforcement officer can face. They pose a risk not just for officers and suspects but even innocent people like your family. Pursuits routinely reach speeds of 100 miles per hour and can end in disaster. 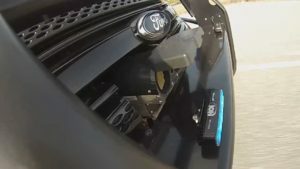 ABC News 4 recently traveled to a small town in Georgia where officers are using a new crime fighting tool to take danger and speed out of the equation. American audiences for years have tuned to footage of high speed chases playing out on the news. Drivers eager to evade capture will swerve, speed and narrowly miss other cars – crossing lanes and putting the lives of other motorists in danger. Byron, Georgia Police Chief Wesley Cannon has felt the blood-rushing, adrenaline-pumping thrill and danger of a high speed chase. The website www.pursuitforchange.org is a national database that tracks chase related fatalities. According to their records, 385 people were killed as a result of police chases in 2014. More than 70 of those people were not even involved with a crime, just folks in the wrong place at the wrong time. As 23-year veteran of the police force in a town with a long stretch of interstate just outside of Macon, Cannon knew something had to be done to keep those bad guys in check without putting the lives of those he has sworn to protect in danger. For Byron, the solution came on a chance encounter at a police conference hundreds of miles away in Philadelphia. It was there Chief Cannon first saw the StarChase Pursuit Management System. The StarChase system features a fixed air cannon mounted onto the front of a law enforcement vehicle. It uses a laser guided targeting system to lock onto the suspect vehicle. When a Law enforcement officer is “locked on” StarChase fires a plastic container containing a GPS tracking device. A strong, non-corrosive adhesive allows the canister to stick onto the fleeing car, and most times a suspect will not even be able to hear it attach. Sure, it sounds like an expensive tool right out of an action movie. Chief Cannon admits he was immediately intrigued. As luck would have it, his department won a raffle at the convention. The prize – a StarChase system. Three years later, StarChase systems are equipped in almost every Bryon, Georgia police car. And Cannon is working to outfit the rest of his fleet. “I believe that this system should be in every car, in every police car in every department nationwide. I think it’s as necessary as a light bar, a cage, a radar, a radio, as a gun, as a Taser. To me, it is that important to have, Chief Cannon said. Once tagged, law enforcement officers and dispatchers are able to track the GPS signature via their computers. They can even share the location with neighboring communities and other departments. StarChase representatives say the battery on each tracker lasts about eight hours. Cannon says the results have been simply astounding. Once the fleeing car has been tagged, his officers will turn off their blue lights and slow down. Once the suspect no longer sees an officer behind, that person will instinctively begin to slow down as the escape reflex and adrenaline fade. Then Byron police officers can simply follow the suspect via their GPS signal until they stop. But in Byron, the chief says StarChase came with an added bonus — a big drop in crime. And that’s exactly why Byron’s top cop says he instructs his officers to be transparent with the new technology. StarChase is in use at over 100 departments across America and Canada. The launchers themselves even come with a heating component, which is used to prevent the adhesive from freezing – meaning StarChase can be used in any weather. StarChase may help reduce the danger that high speed chases create, but it doesn’t take it away completely. Officers, troopers, or deputies still need to get within at least 10 to 20 feet of the fleeing vehicle. Charleston County Sheriff Al Cannon says his department saw an increase in the number of police chases in 2016. More and more people are running, and that means more chases. In 2012, Cannon himself was involved in a high speed chase along several Lowcountry highways. Cannon eventually helped subdue the suspect off Highway 41 in Mount Pleasant. Soon after the suspect was detained Cannon approached him while handcuffed in the back of a patrol car and slapped him. Cannon says it was a reaction to the suspect putting so many lives in danger. That suspect it turns out, had run from police before. Sheriff Cannon said he equated the suspect’s blatant disregard for human life that day as someone standing in an intersection with a loaded pistol. “When you are dealing with someone who is using a car as a deadly weapon, he is just as deadly if not more so, because he’s got 3,000 pounds of metal he is projecting down the highway, then someone firing a firearm,” Cannon said. Charleston County uses StopSticks and its helicopter to track and subdue chase suspects. Sheriff Cannon admits GPS tracking or disabling a vehicle’s electronic systems, even drones are the future in pursuit prevention. Sheriff Cannon admits that he monitors regular testing of new products but that sometimes his hands are tied when it comes purchases, which often need county or municipal approval. At $5,000 per unit for StarChase, Sheriff Cannon says installing them in Charleston County right now just isn’t feasible. Chief Cannon of Byron thinks otherwise. Currently, no law enforcement organization in South Carolina uses the StarChase system. The South Carolina Highway Patrol tested similar equipment but ultimately decided not to purchase it, though they would not tell ABC News 4 why. Byron Police Chief Wesley Cannon says that he has never had to budget for a StarChase system because “lets his drug dealers pay for them” – using drug seizure money to pay for the equipment. He hopes to outfit his entire fleet of vehicles with StarChase by the end of the year. Wednesday, Jan. 11, 2017, 12:16 a.m. The small Fawn Township Police Department doesn’t get involved in many high-speed car chases, but Chief Tim Mayberry remembers chasing down a suspect last year who was wanted in a break-in. There’s almost always a better, safer way to apprehend a suspect than a high-speed car chase, he said. Mayberry plans to update the township’s pursuit policy within the next month or two, joining several local police departments taking a close look at how they handle car chases. The issue was highlighted in November, when a man fleeing from police in North Versailles after he was pulled over for making an illegal left turn sped off and crashed into a car, killing two adults and a 2-year-old girl. Police were considering how best to handle pursuits before the crash. The Allegheny County Chiefs of Police Association regularly updates its suggested policies and revised its model pursuit policy in early 2016. “A lot of chiefs put a lot of time and efforts into working on best practices,” said association President and Castle Shannon police Chief Kenneth Truver. The association does not implement policies but instead drafts models and encourages local departments to adopt them. The East Deer commissioners will discuss updating their police department’s pursuit policy at a meeting Thursday, possibly voting to adopt new guidelines based on the chiefs’ association model. He does not remember when East Deer’s policy was last updated but said the new model adds many new safeguards. It lists 13 criteria that must be met for officers to start a chase and six reasons why a chase should be stopped. It states no more than two police vehicles can be involved in a chase, and officers cannot chase suspects against the flow of traffic. Mayberry said Fawn’s current policy largely leaves the decision of when to begin and end a chase up to officers. “Ours is pretty simple, but it’s not as stringent as the other ones that are out there,” he said, adding that making the policy stricter could make the public safer. Truver said he didn’t want to discuss the specifics of the association’s model policy, because publicizing the details of how officers handle police chases could allow criminals to exploit that knowledge. “If you have bad intentions and you know what the policy is of an individual agency, you can take action to subvert the intent of that policy,” he said. State law says departments should keep the details of their pursuit policies confidential. Allegheny County District Attorney Stephen Zappala has long called on departments to update and standardize their policies. Police should initiate a chase only in case of a violent felony or to stop an immediate threat to public safety, according to Zappala. The North Versailles police pursuit policy says pursuits should be limited to suspects wanted for safety-threatening felonies. The driver involved in the fatal pursuit was wanted on a probation violation. The chiefs’ association revisited its policy after the crash but decided the recently updated version was stringent enough. Wisconsin resident Jonathan Farris started the advocacy group Pursuit for Change after his son, Paul, died in a car crash in Massachusetts in 2007. Paul was in a taxi, and the driver who hit his vehicle was being chased by police. Pursuit for Change calls for stricter and more consistent policies nationwide, as well as better record-keeping about crashes related to police chases. Police departments are not required to submit reports on chase-related fatalities to any government agency. The most comprehensive recent analysis was a 2015 report by USA Today, which found 11,500 deaths in high-speed chases from 1979 to 2013, including 374 in Pennsylvania. Henry Wiehagen, president of Fraternal Order of Police Lodge 91, which represents officers in Allegheny County, said stricter rules are a good thing. A chase can escalate a bad situation, he said. Jacob Tierney is a Tribune-Review staff writer. Reach him at 724-836-6646 or jtierney@tribweb.com.